What can we say. We promised you to stay off the D topic for a while but there's been so much buzz around the man that we just had to surrender. 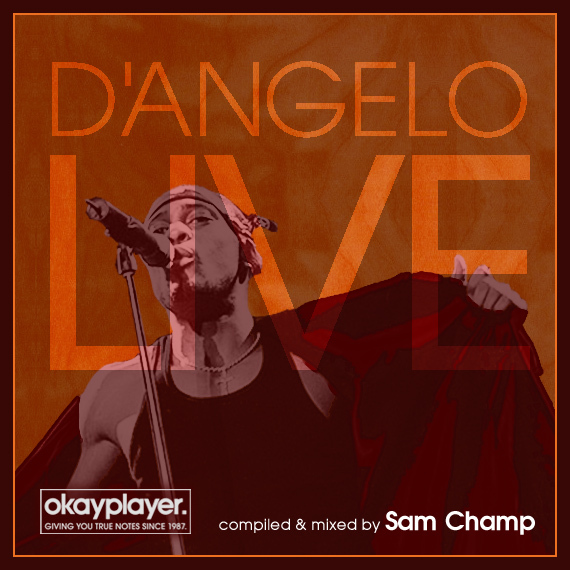 Here's a great tribute to the D'Angelo live experience from Sam Champ brought to you as a free download courtesy of Okayplayer. "We asked super-thorough DJ/producer and Soulquarian obsessive Sam Champ (you may remember the tough remix of “Left & Right” from his remix LP) to cut together this official OKP D’Angelo Live mix for us. Most of these amazing live renditions of classic D’Angelo material have surfaced online in one form or the other before but Sam Champ has skillfully compiled them into one seamless blend to create the ultimate OKP fantasy concert for those of us not blessed enough to have been born Scandinavian. So without further ado, please find below one hour and twelve minutes (and some seconds) of streamable D’Angelo, recorded live on various stages across the world"